Cuff Open, showing storage option. Fabric finish. Select Anthracite Grey Feet Open version - no feet. 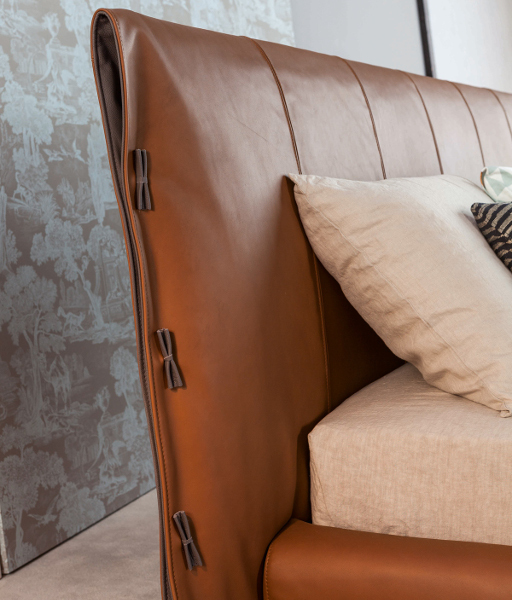 The Cuff is a modern styled double bed from Bonaldo with soft cushioned headboard finished with toggle grips on either side. 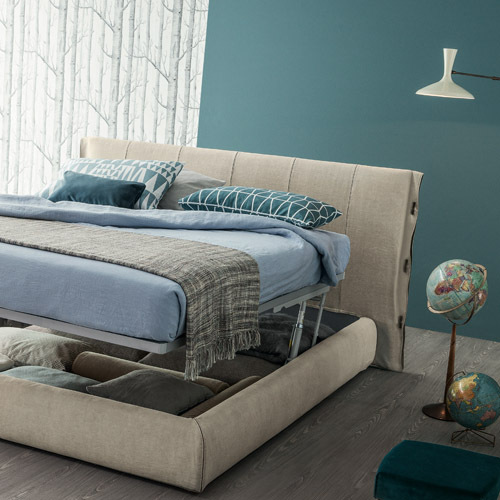 The bed, standing on metal tappered legs, can be finished in either fabric or leather. 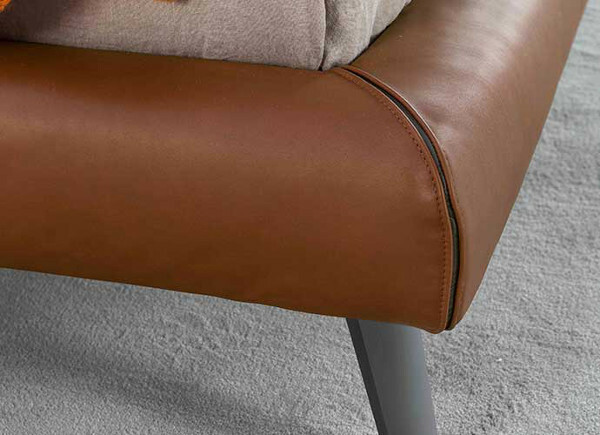 There is also an underbed storage option - Cuff Open - that uses a gas lift mechanism fo ease of use. Mattresses are not included in the price. The bed is available in both King and Queen sizes. If you cannot see an option you are interested in please contact us by email at purves@purves.co.uk or call 020 3397 3723. Samples are available in return for a £10 deposit. 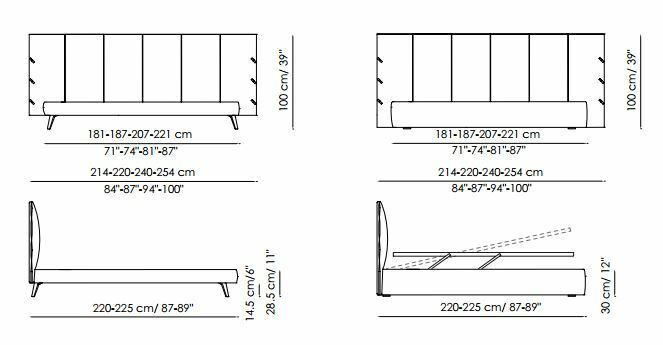 Dimensions: Please see diagram in images above - Cuff Bed on left, Cuff Open on right. * From price on category thumnails is for Cuff King Size bed with anthracite feet and 800 grade fabric. Fabric or leather to headboard and bed surround - Samples available in return for a £10 deposit.